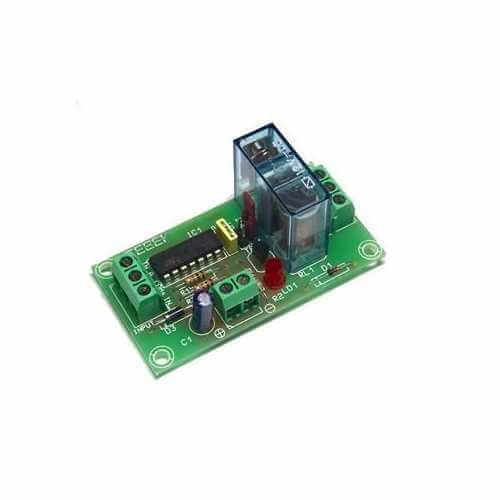 This logic activated relay module can be configured as either an AND or NAND gate (the CI076 module offers a OR or NOR gate). Module accepts TTL and CMOS logic signals and operates the onboard mains rated relay when the logic result is "1". Please see User Manual for details. An LED indicates that the relay is in operation. The board is reverse polarity protected. Screw terminal blocks for all connections.